At last night's Toronto Book Awards presentation, those present in the Toronto Reference Library's Appel Salon were treated to some great hosting (both by CBC Metro Morning's Matt Galloway and outgoing Mayor Miller). Of course, politics is running through everything at the moment, as Toronto is heading into a pretty big mayoral election, and the importance of funding the arts and libraries tinged a lot of what was said last night. Each of the nominated authors received cheques for $1,000, as well as the opportunity to present their nominated book – and its relevant Toronto locations – in short individual films. 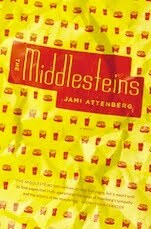 It was really nice to see authors talk about the city as though it was a literary character. It seemed that all the nominated novels were really embedded in the city, and the that the same story could not have been told elsewhere. 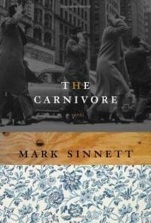 That was especially true of the winning novel, Mark Sinnett's The Carnivore (ECW Press), which tells the story of a marriage disrupted by Hurricane Hazel. Sinnett, who brought his wife and very cute son to the event, took home the grand prize of $11,000 (his $1,000 for being a finalist and the winner's $10,000), which is no small prize in the world of literary awards. Congratulations to them all. Setting, and especially place, is an incredibly important part of a well crafted story, and it's always nice to see that recognized.